I have to credit Eric Felten for turning me on to this cocktail, back in….well, quite a while ago. For those that aren’t familiar, Eric had a cocktail column in The Wall Street Journal for some years called “How’s Your Drink?” and wrote a great eponymous book. My grandmother passed away when I was 20 years old. Her husband had passed the year before, and I spent her last few months living with her in the house they bought in 1940 and helping out domestically between work and school. During this time, I found in the kitchen a hand-written recipe card titled “Cough Syrup”. Scribbled on the card were three ingredients: “2 T whiskey, 1 tsp honey, 1 tsp lemon juice”. And the instructions, “mix and drink”. This was remarkable since my grandparents were teetotalers. I wish I had kept that card. Summers are hot in North Carolina. Normally the heat will make me think of tropical drinks. And we will take a turn or two here with Tiki drinks. But not today – when it gets this hot, not even a Goombay Smash will really cool me down. 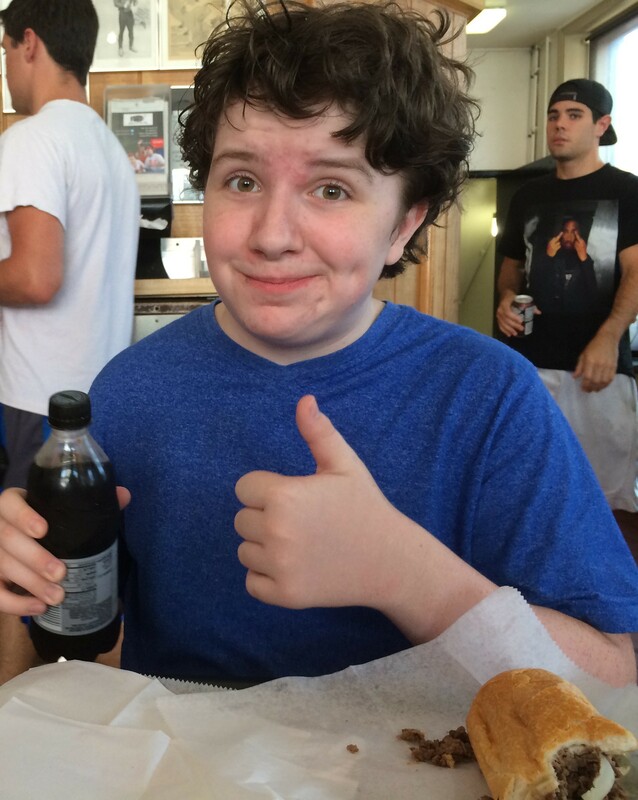 My middle son and namesake has recently taken a liking to cheese steaks. We have a couple of reasonably good places in Raleigh, but we’re only a half-day drive from the home of the cheese steak. And since I used to work in Philadelphia we decided to make a road trip of it. While it’s not exactly cocktail related, I thought I’d post our findings here. Paul Jr. has an impressive palate for a picky-eating 14 year old, which made for some fun dialog at and between stops. And being almost as analytic as me, he suggested an overall 1-10 scale for each sandwich and that we use Anvil’s (his favorite Raleigh spot) as a benchmark, giving it an arbitrary ‘7’ as a starting point.